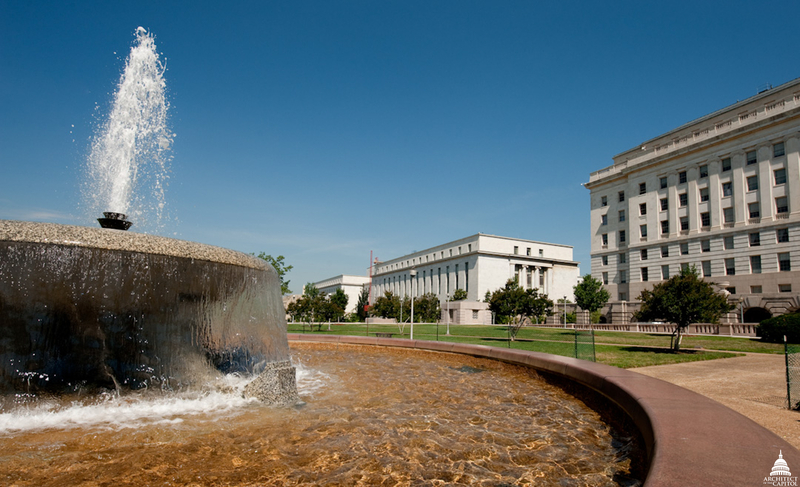 There are more than 20 water features that Architect of the Capitol employees care for. 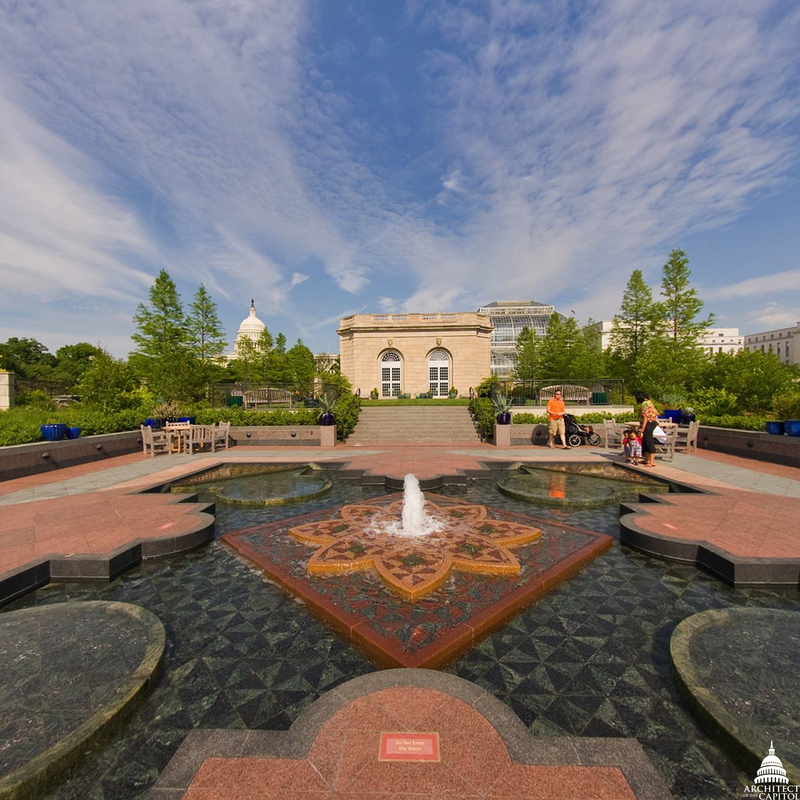 Spanning across the Capitol campus, each of the House office buildings, Senate office buildings, Library of Congress buildings, Supreme Court buildings and the U.S. Botanic Garden have some type of fountain or pool. 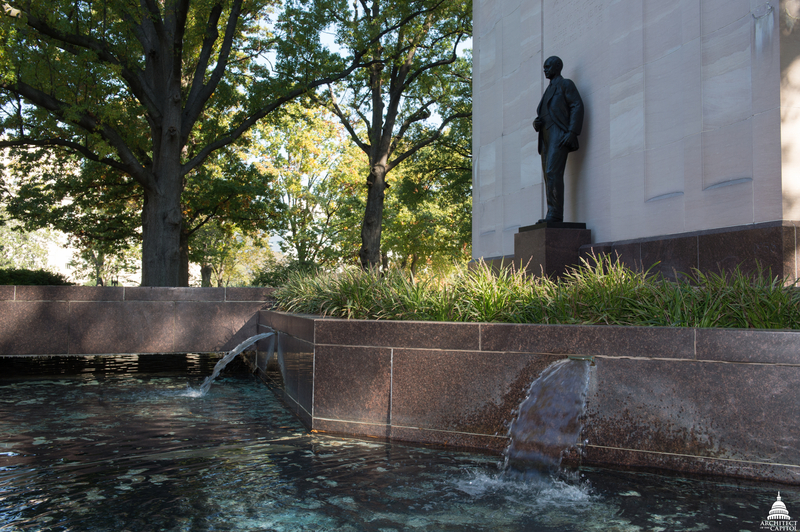 Popular water features near the U.S. Capitol include Bartholdi Fountain, Capitol Reflecting Pool, Senate Park fountains and the Neptune Fountain, but below are eight others to know around the campus. 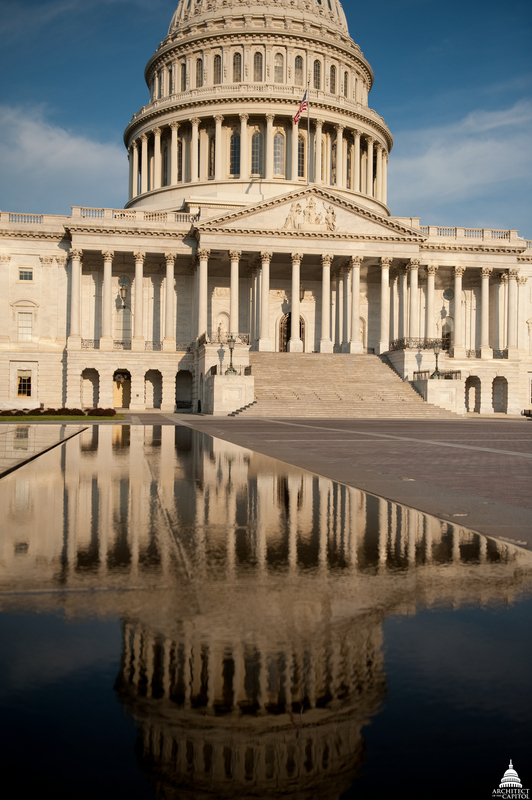 On the Capitol Building's east front plaza, two identical pools are installed. 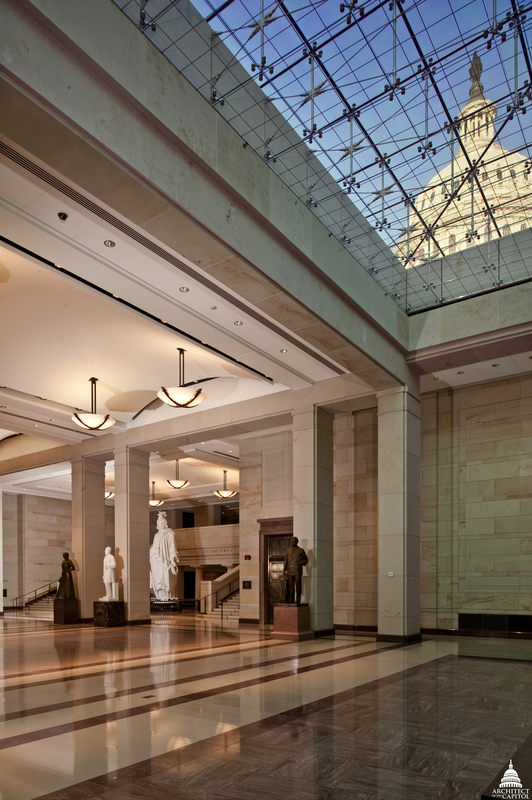 The center of each acts as a glass skylight for the Capitol Visitor Center complex located beneath. Across First Street N.E., the Supreme Court Building's west front also has two water features. These fountains are placed among the marble plaza's alternating circles and squares. Just off Constitution Avenue, between New Jersey Avenue and First Street, N.W., jets of water flow into a basin that rings the base of this memorial and carillon. 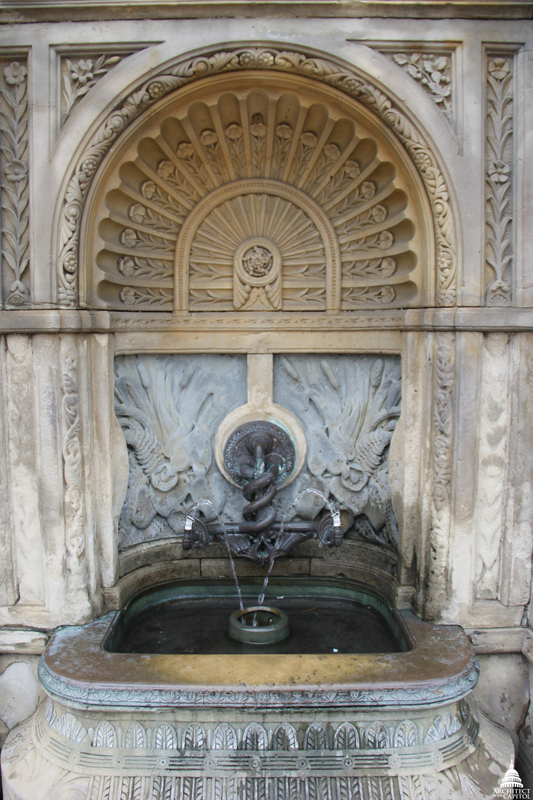 The fountain in the center of the Summerhouse building originally provided drinking water piped from a spring. The six small metal fittings around the fountain's upper perimeter secured chains that are believed to have held drinking cups or ladles. Now, three individual drinking fountains connected to the filtered city water supply provide drinking water, and the central fountain is used only for display. Surrounding the Peace Monument are wreaths, ribbons and scallop shells, plus a quatrefoil-shaped basin with a jet on each side. 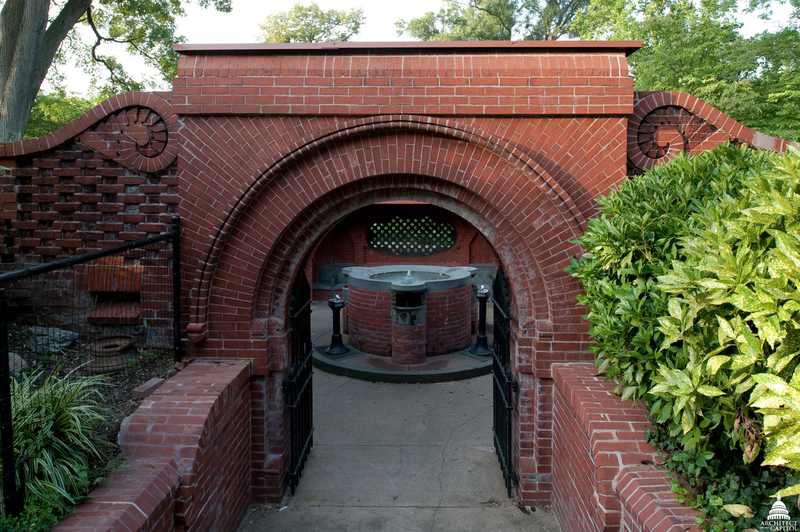 Designed by Frederick Law Olmsted, this unique fountain is slightly hidden in the terrace wall that borders Capitol Square, just across from the Grant Memorial. 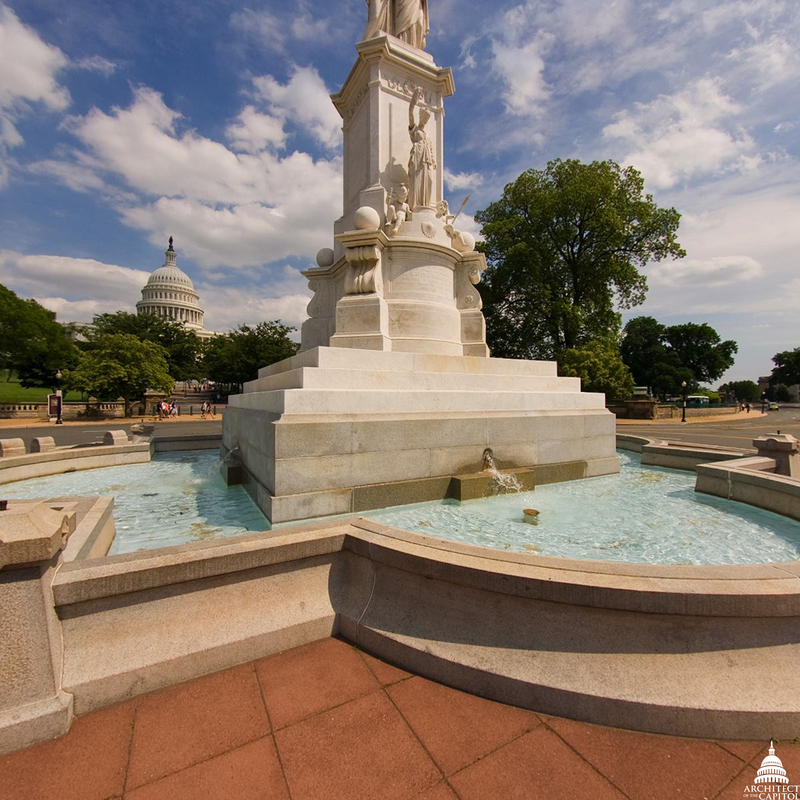 On the south side of the Capitol, there are two fountains that sit in the park behind the House Office Building. This beautiful space is a green roof for the parking garages below. Continuing down and around the hill, the water garden is located in the National Garden on the west side of the Botanic Garden Conservatory. Featuring a single water jet located in the center of four cascading pools, it honors our nation's first ladies and offers seating areas for visitors. Learn more at usbg.gov. Thank you for the little tour, I found it interesting because some of these fountains can be so overlooked.